...to see how successful so many stamping business owners have been this past year thanks, in large part, to their blog. It's the fact that you have a blog, too, and you're not as successful. Or, you don't have a blog yet, and you're afraid it's too difficult to learn everything you need to set up and maintain one. What If You Could Learn Everything You Needed To Know To Set Up and Maintain A Profitable, Business-Building Blog In Just Four Hours? Would that be worth it? Would it be worth the investment of time if you knew it could alleviate your frustration AND give you all of the information you need to produce a top-10 blog? I'm Happy To Announce the 2015 Blogger's Boot Camp! Many of you have been asking for it, and I'm happy to tell you the 2015 Blogger's Boot Camp will take place beginning Tuesday, January 20th! 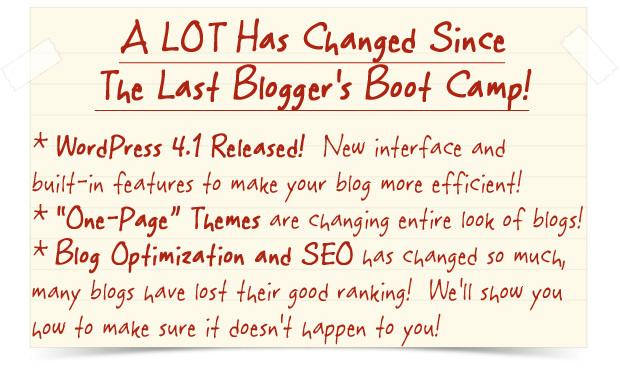 Since the last Blogger's Boot Camp, (which produced over 175 solid business blogs! ), hundreds of other stamping blogs have sprung up. Unfortunately, the vast majority of these blogs are NOT good business blogs. They're NOT designed to generate sales or profit. Rather, they're personal blogs created by people who happen to spend a lot of time stamping. My motto is - IF YOU'RE GOING TO HAVE A BLOG, BLOG LIKE A PRO FOR FUN AND PROFIT! The 2015 Blogger's Boot Camp will teach you to do just that! "The Best Investment I've Made In My Business...!" "I spent several hours in a bookstore before the last Blogger's Bootcamp was announced, searching for a source that could help me navigate all the technical, practical and effective actions I needed to take to have a successful and profitable blog. After pouring over the options, I realized I would have to buy half a dozen books at a very high cost and way too much reading. I took both (the Blogger's and Advanced Blogger's) Boot Camps and I can tell you it is all you will need. The information you gain through these is immediately useful, presented in a way that it is fairly easy to understand and use, and kicks your blog up more than a few notches. They were, without a doubt, the best non-SU! product investment I have made in my business to date." a new strategy that will index your blog posts immediately and get them higher search rankings!! !AND what previously covered strategy is NO LONGER WORKING! new best practices for 2015 to utilize SOCIAL NETWORKS to generate massive blog traffic!! AND which 2014 strategies will actually HURT YOU if you keep using them! the best plug-ins and add-ons for 2014 to generate maximum leads and sales from your blog! Strategies like this, as well as the rapid changes in technology (which you want to take advantage of) make every Blogger's Boot Camp different from the last. So, not only do we cover the basics, but we're always adding a ton of NEW CONTENT to make sure you have the most up-to-date information possible! The pros and cons of the DBWS blog - what you can and cannot do with it! And More Than THIRTY Video Tutorials! The Boot Camp will take place on four consecutive Tuesdays, beginning January 21st (if you can't make the live calls, don't worry! You'll have access to all of the recordings through May 1, 2015!). In addition to those webinars, you'll also have access to more than 30 video tutorials showing you, step-by-step, all of the processes we go over. You WILL NOT be left to figure this out on your own! All you have to do is follow the step-by-step videos to develop the blog both you and your business deserve! "I'm Already Seeing The Benefit!" my blog now has "followers" and they've made purchases based on specific posts. These examples, and other positive changes to my blogging habits based on John's recommendations, have made a positive impact to my business' profitability. " By the end of the Blogger's Boot Camp, you're going to have all of the information you need to create and maintain a blog that showcases your business the way it should be AND generates traffic, sales and profit! The sessions will take place on four consecutive Tuesdays, January 21st, thru February 11th at 10:00 p.m. eastern. Access to more than THIRTY step-by-step video tutorials covering everything from setting up your blog framework, post and sidebar content, marketing and more! By the end of this Boot Camp, you'll have all of the information you need to effectively grow your business-building downline into the hundreds and thousands!! So, how much does the Boot Camp and added Bonuses cost? The registration fee is just $87! Significantly less than you'd pay for comparable courses. 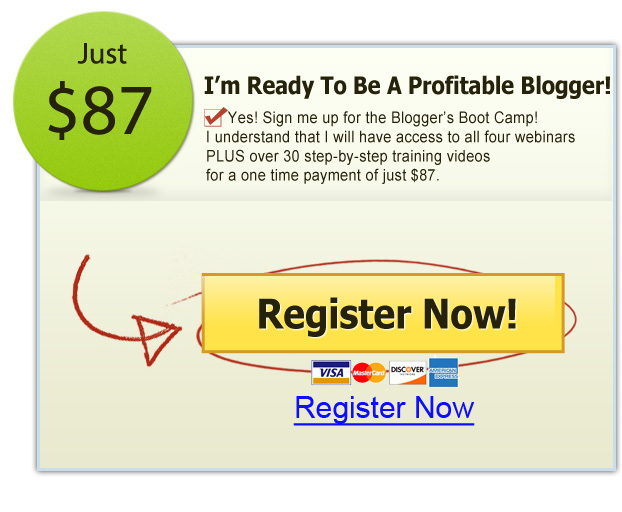 And HUNDREDS less than you'd pay if you hired someone to create and maintain your blog for you! 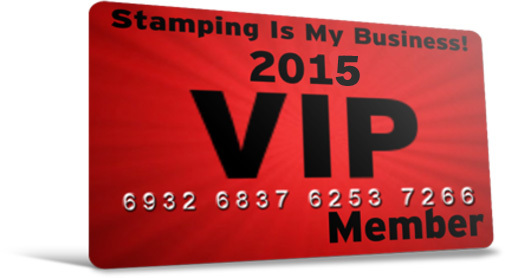 ***2015 VIP MEMBERS - You're already signed up for this, and all, Boot Camps in 2015!